A lot of buzz has been created around the internet with users wondering if their iPads or iPhone’s clock will automatically set itself back by an hour when Daylight Saving Time ends. Yep! 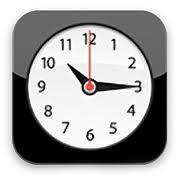 Your iPhone, iPad, iPod Touch and Mac will automatically set their clocks an hour back on their own. No consent required from you! That is actually convenient if you are in the same timezone, however, some users have also reported that their devices haven’t automatically moved back an hour. Make sure that Location Services are enabled for Setting Time Zone. To confirm, go to Settings > Privacy > Location Services > System Services > Setting Time Zone, as you might have disabled it to improve battery life of your iOS 7 device. In case it is not enabled, enable it and reboot your device afterwards. Your iOS device must be on iOS 5 or later. You iPhone, iPad, iPod Touch is not in airplane mode. If it is, turn the mode off and reboot your device. For some users in Europe, when the DST ended last week, although the clocks updated automatically, Calendar app continued to show the old time. Though it may not be an iPhone Daylight Saving Time issue on Apple’s end and some bug on the carrier’s end. Let us know if your clocks moved back by an hour automatically, if not, do let us know if checking the above check list worked for your iOS device.